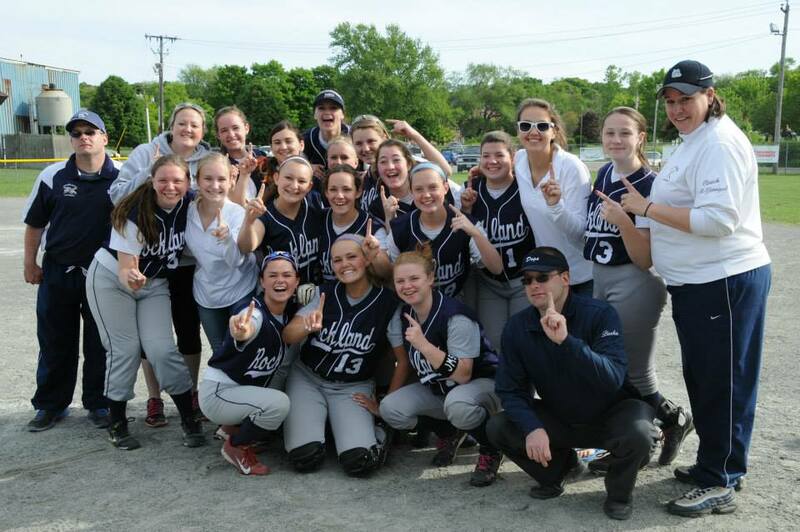 The girls softball team opened up its postseason tournament with an impressive 11-1 win over Randolph yesterday. Freshman Erin Buckley pitched the complete game allowing four hits and no earned runs. Senior third baseman, Kylie Langhoff was 3 for 4 with three rbi. For the girls, who made the tournament by defeating Carver on the last game of the regular season, the plan will be the same. Go out, have fun, compete and keep themselves in the game. Once the seniors had completed their final day of classes on May 23, they still had one more requirement to complete in order to graduate: Senior Issues. This is a two day program to help prepare the seniors for their new life as adults outside of high school. In the course of the two days of Senior Issues, the seniors learned many new skills. Senior Sami Davis says the most important thing she took out of Senior Issues was the life saving skill of cardiopulmonary resuscitation, or CPR for short, along with the Heimlich Maneuver. There was also a melanoma screening to raise awareness of the sun’s ability to cause cancer. A self-defense class was also taught to the girls if the situation ever arose where they needed to protect themselves. A class for dance had to do with the grand march. Classes on finances were also given. One could argue that the session on CPR was the most important class. Knowing and being able to perform this technique could mean the difference between life or death for a person in cardiac arrest. 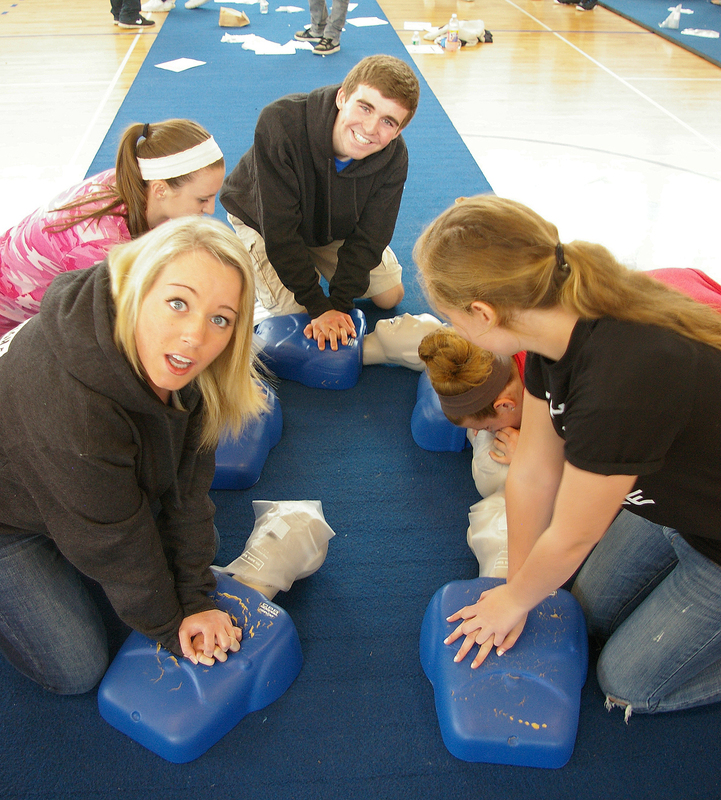 When the seniors became certified they learned how to save a life. The seniors also learned how to do CPR on an infant since it is different than performing it on an adult. Another important session in Senior Issues was a melanoma screening. This shows just how dangerous the sun can be. According to Skincancer.org one out of every five people will have skin cancer at some point in their lives. Senior Gabby DerKinderen says, “It definitely made me nervous and more cautious about using tanning beds.” Tanning beds are a big contributor to the skin cancer problem. The senior girls also took a self defense class. Abby Moore says one important thing she got out of it was that eyes are very vulnerable and are a good area to target if you are being assaulted. Most seniors would say that Senior Issues was definitely worth their time. Davis says it was worth her time because “it helps you learn many important life skills.” Overall Senior Issues is an important graduation requirement here at RHS and it will serve to be very useful in the new graduates’ lives to come. 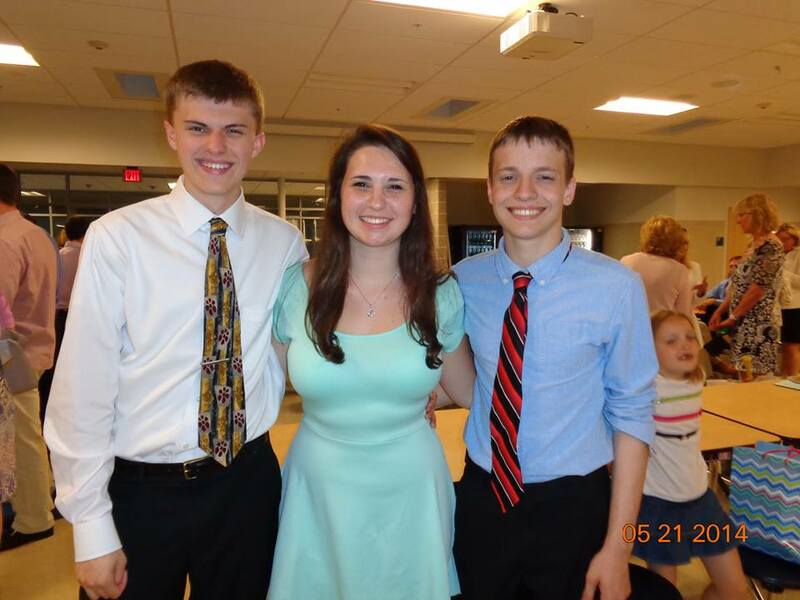 Marcus Rohwetter, Alyssa Collins, and PJ Butler were all inducted into the National Honor Society. 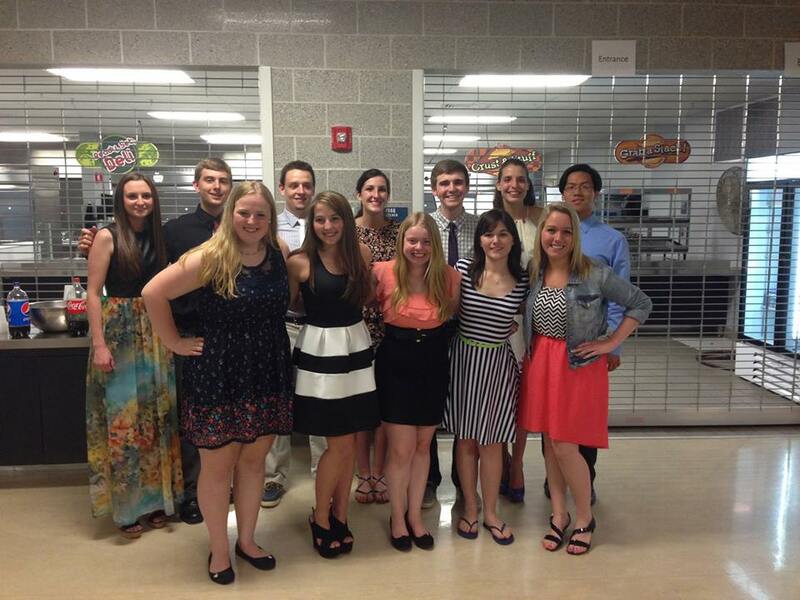 Photo courtesy Alyssa Collins. 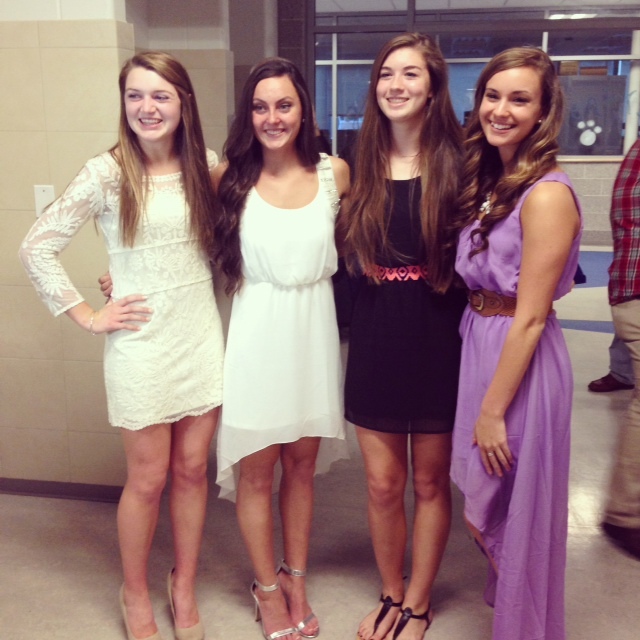 Kara Penney, Alex Pigeon, Julia Matson and Katie Delorey were all inducted into the National Honor Society. Photo courtesy Julia Matson. 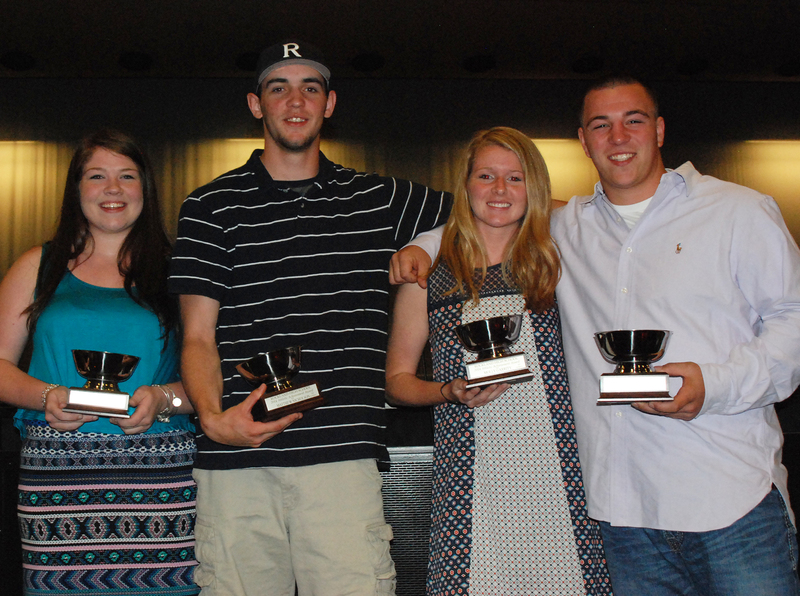 Leadership, service, character and scholarship are the qualities that each member of Rockland High Chapter of the National Honor Society must possess. On Wednesday night, 22 juniors and two seniors met that criteria and were inducted into the prestigious academic group. 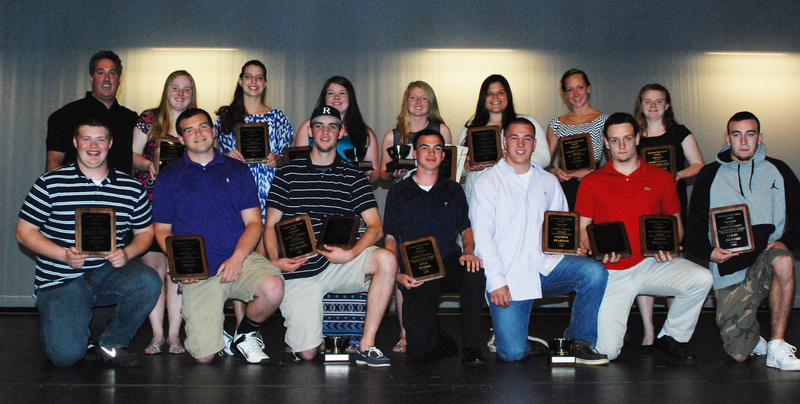 The ceremony in the auditorium was preceded by a dinner where inductees spent time with their peers and adult sponsors. Then, parents and families watched as President Joe Rizzotto introduced the seniors and where they will be attending college in the fall, and gave the juniors their NHS member cards and pins after they made the pledge to the society. Secretary Gabrielle derKinderen, Treasurer Lilly Margolis, and members Brian Leonard, Leah Benson, and Devin Gilmore spoke about the virtues of NHS and the values that members must uphold, as well as introducing the candidates. Member Victoria Pratt recited a poem about the symbolic torch of NHS. The inducted juniors were Iman Bendarkawai, Dylan Bernache, Patrick Butler, Brian Cohen, Alyssa Collins, Nicole Cook, Katherine Delorey, Natalie Ellard, Andrew Frazer, Cameron Kelley, Mekenzie Levesque, Julia Matson, Dennis McPeck, Justin Nguyen, Brendon Peck, Kara Penney, Alexandra Pigeon, Samantha Poirier, Jared Quirk, Taylor Reis, Markus Rohwetter, and Danielle Whitcher. The seniors were Kayla Frazer and Erin Mulready. The Junior Prom for the Class of 2015 was held at Indian Pond Country Club in Kingston on Thursday, May 15. The Prom Court included members Kara Penney, Nicole Cook, Kallie Morse and Krystin Killion, with King Cameron Stuart and Queen Brianna Starkey. NESN TV reporter Jenny Dell was Stuart’s date for this evening. 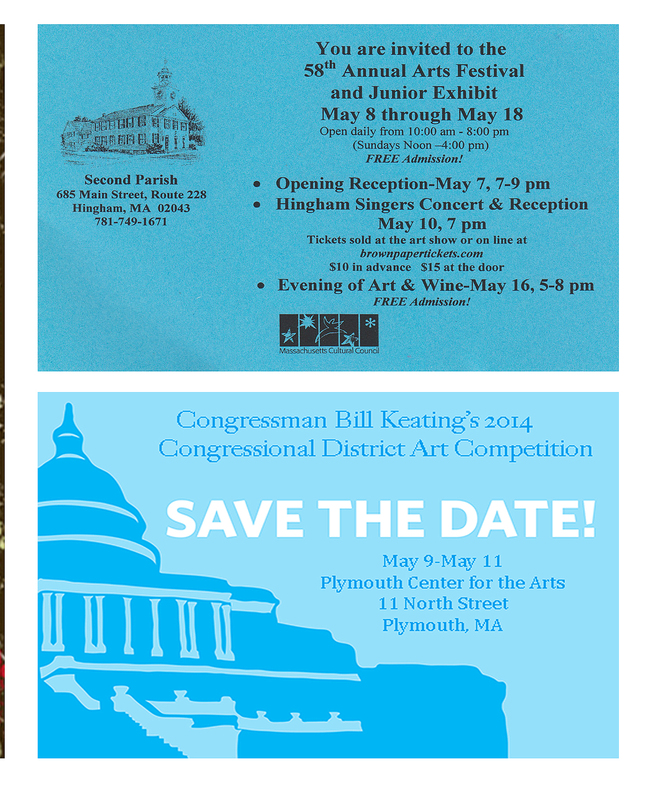 For more on Junior Prom, see the story in the print edition of The Veritas on May 23. Kallie Morse is named voted member of Prom Court. Kara Penney is named voted member of Prom Court. 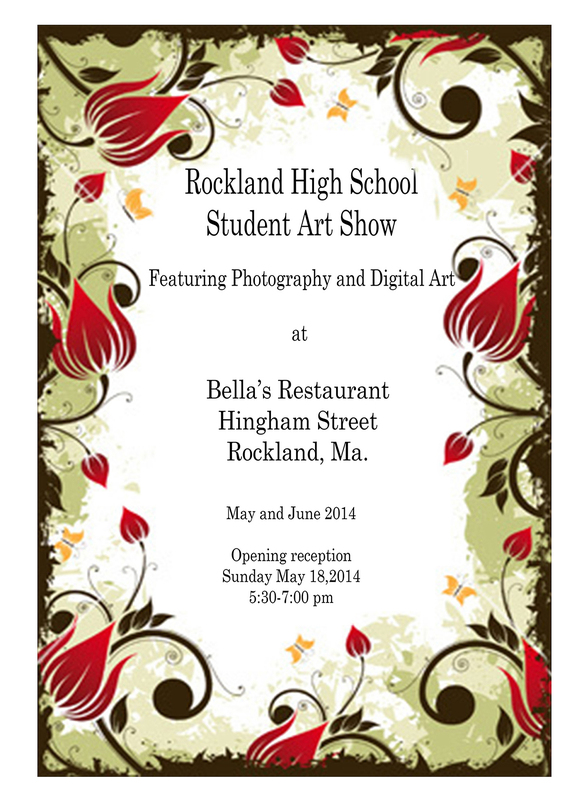 The following students will have art on display at Bella’s Restaurant in Rockland during the months of May and June 2014.